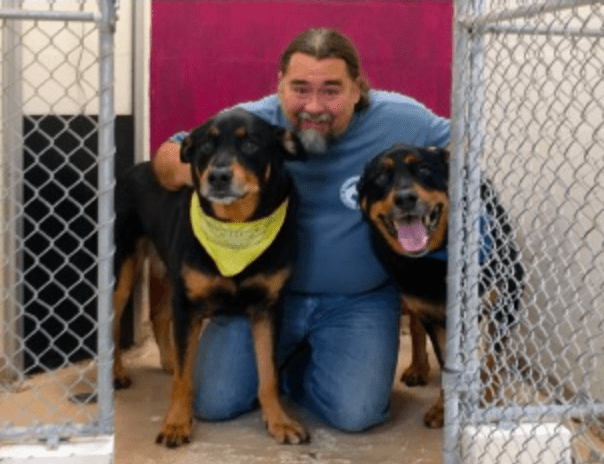 Augusta, ME—With a long history of supporting animal rights, Robert Haley, the former radio personality known as Roadhouse Lou, shared a kennel with two Rottweiler mix dogs for 76 hours to raise awareness and money for the Kennebec Valley Humane Society. Former Local Radio Personality Spent 76 Hours in Dog Kennel. Dubbed “Roadhouse Lou’s Second Chance,” the event was designed to raise awareness of the need for private donations to support the non-profit organization’s efforts to assist animals in need of extra care. Thanks to the increased success of spay and neuter programs, the Kennebec Valley Humane Society receives fewer unwanted animals on a regular basis. However, much of their current resources are devoted to helping animals with special needs—including expensive medical care because of injury, abuse or neglect, and emotional training—find their forever home. Northeast Technical Institute was proud to donate to the cause. Even with the end of the event, donations to the Kennebec Valley Humane Society are being accepted at the shelter or online at pethavenlane.org.